I started writing another post this morning and after a few paragraphs I knew I needed to stop and write this one. The truth is, I miss some things right now. This week, the kids are on spring break and while we took a really fun trip last weekend, I’ve been working with them here all day and doing a number of other unrelated activities that just have me drained. The thing is, there are a lot of things to love about this week and since it is only a few days, I’m not losing my mind or anything. But I’m not feeling like I am fully present either and it’s uncomfortable. If you know me at all, you know the next step is the retreat deep into my head to figure it all out. I was chatting with some friends the other day and was reminded that hard things bring good things, especially in motherhood. I needed to hear that and I wanted to say it here so I don’t forget. I’ve been thinking a lot about this blog. I miss writing my story and connecting with other moms. I miss chatting for the sake of chatting and commenting and being silly. It’s not that I can’t do that, obviously. This is my space and I do what I want! But I also want other things for these pages and sometimes (more now than ever) it’s really hard to get my feelings out onto the screen. So in my vague little way today, here I am. The truth is, I love encouraging other working moms to slow down, sleep more, work smarter and enjoy life. It’s one of my favorite things to do. But do you know why I do that? Because I am a mom who needs to be encouraged, sleep more, work smarter and enjoy life. I think I have the enjoy life part down, but the others are a constant work in progress. Sometimes I feel lost in the sea of noise on the internet. Sometimes I think I am too loud. Sometimes I feel invisible. Sometimes there is no place I would rather be than right here. I don’t think I am alone in this but in my circle of online professionals, sometimes it sure feels like it. I get intimidated, overwhelmed, inspired and confused almost daily. So why do I keep going? I’ve asked myself this question often in the past 13 years. In the early days of online-journaling, blogging was personal and almost entirely introspective. I miss that aspect for sure, but I also love sharing what I have learned over the years with anyone who wants to hear it. As hungry as I am for interesting tips and tricks, I don’t want to keep them all to myself. But even still, I have a hard time promoting my work. It’s a daily struggle. And I’m growing as fast as I can. I believe it’s ok to be loud. Now I just have to act like it. Have you ever had this conversation in your head? I think if we’re honest, many of us do on a regular basis. When I face new challenges and especially if I find a way to conquer them, I write about it. That will never change. 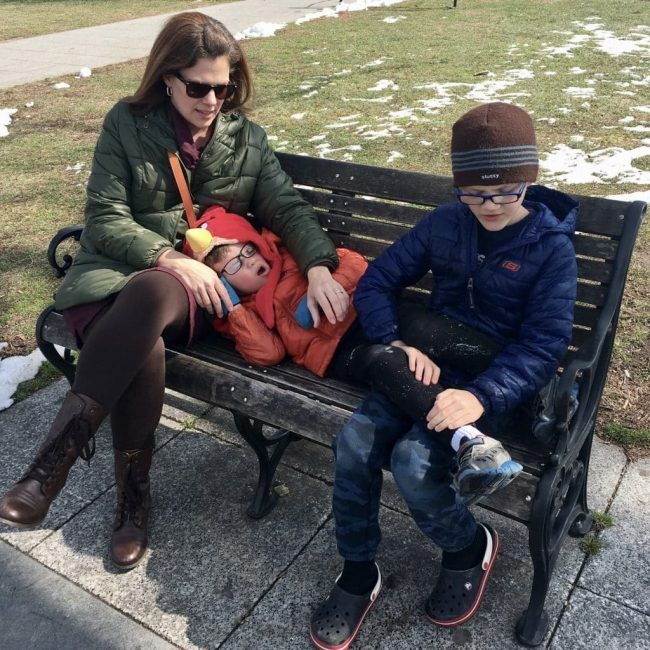 So even if my writing is shifting away from daily motherhood complaints, and believe me I still have them, I know that there is value in learning and loving and sharing. It’s what I was born to do. But if writing and sharing isn’t your thing, guess what? You matter. You are still just as valuable as anyone else on the internet or way out there in the real world. 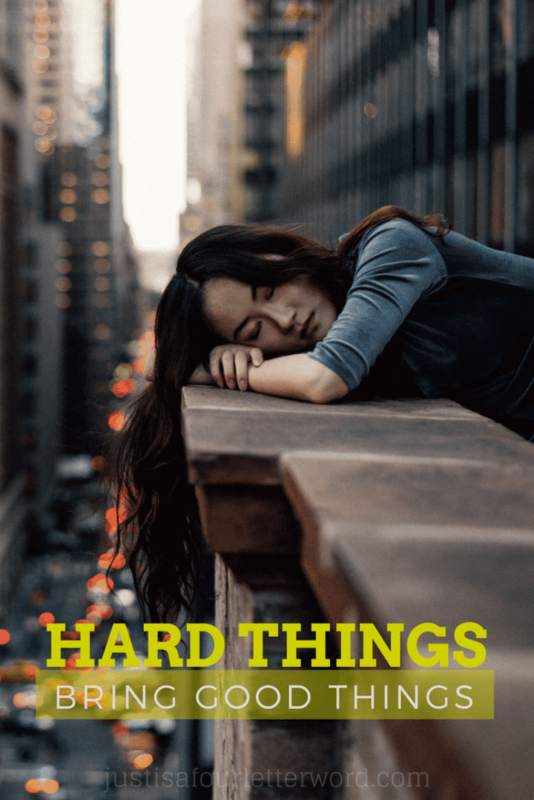 If hard things bring me to people who understand what I’m going through, that is definitely a good thing. But if you ever do need someone to say, “me too,” you know where to find me. That means a lot! Thank you for sharing. And hang in there. We’ve got this!